Kim Kardashian had come to fame after having her private video with the former boyfriend leaked online in 2007. She has since made the most of the exposure by entering into television and a business world. Today she is not only a TV star but also a business tycoon with highly flourishing fashion and video game business enterprises to her name. Moreover, she is a highly active person on the social media which also credits her as one of the most photographed celebrities on the planet. 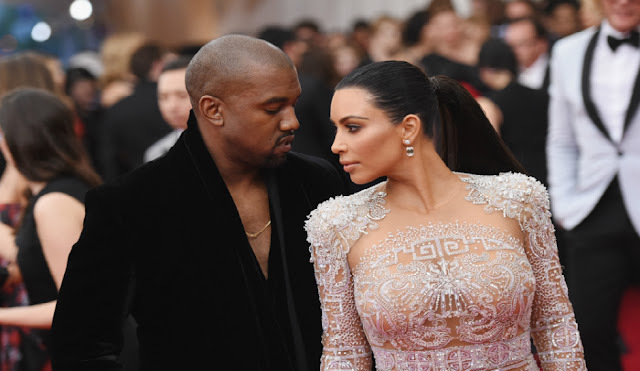 Kanye West is of opinion that his wife Kim is a kind of royalty because she possesses a pop-culture influence and calls her the ‘Modern Day Marie Antoinette’. He says the 37-year-old is so sought after and which is why he has addressed her with a royal name. The American singer says his spouse is another name of fashion and he has noted the designers who were not letting her sit in shows now make entire collection based on Kim’s shape. Though it’s really funny for her to be snapped so much, she does have photo shoots every day. Kayne feels she is a true representation of today’s Marie Antoinette. Like his wife, the singer has also entered fashion industry. He owns Yeezy Sneaker and is in partnership with Adidas. Kayne is sure he can make moves in fashion industry that will be noted down as a success in the history. He says he makes the most required sneakers and feels proud to be within the century period of sneakers being made. Though he is a successful entrepreneur in fashion industry he claims to be pushed around a few designers who are looking down on his achievements. Expressing his views over fashion and his commitments Kayne says he has a lower credit in fashion and he sometimes finds himself getting bullied by creative people. He has found many people trying to force their ideas on him or use him as platform. He says people have also tried to use him or his name for making money, and this is something where he reaches his breaking point. The 39-year-old just strangely compared his companion to Marie Antoinette who was a conquered Queen of France and was notably guillotined in 1793 for high disloyalty. It seems Kayne hasn’t clearly gone through the account of the Versailles raised ruler who was crowned at the age of 18. Unlike Kim, the queen did not have manipulative media know-how to fight some political characters who accused her of being 'an extravagant and immoral Madame Deficit, whose plentiful expenses flashed her country's financial disaster. Returning the favor, the Keeping Up with Kim’s stunner says her Kayne is her 'best stylist.' He has an eye on everything some steps ahead of anyone else. According to the star, her husband has a big role in her fashion story and her fashion transformation. And every look she loves is certainly an output of something that he has lent a hand to help her style.